This 760 S.F. 16' by 25' Cabin with main floor bedroom and sleeping loft is compact but has all you need for a long get-a-way. 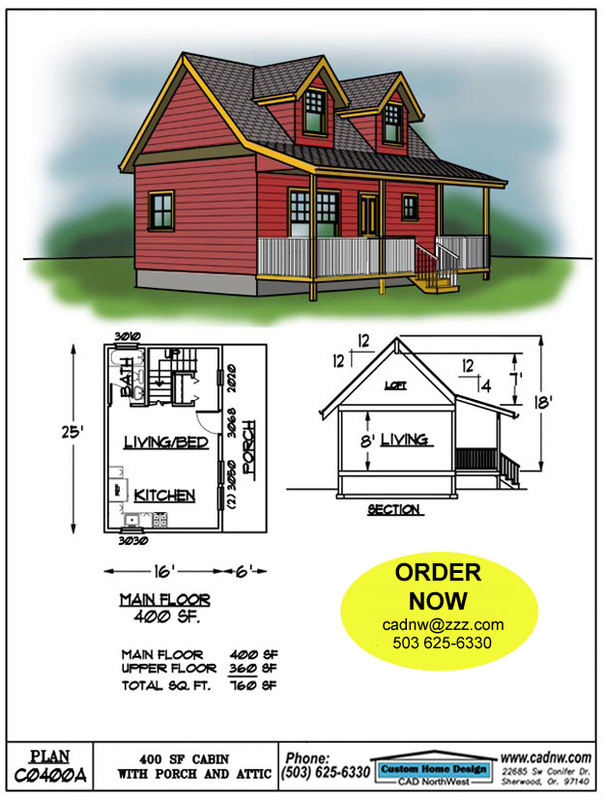 Access to the main floor is provided by a front door from a full width sheltered front porch. An ''L'' shaped stair leads to an additional spacious 360 S.F. vaulted loft. The open living area includes fireplace and a complete roomy kitchen. The bath has a full tub with shower. This would be a fun place to escape from the city traffic and just relax.